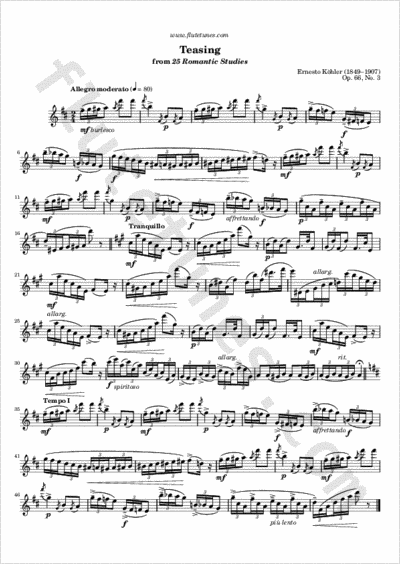 This étude is taken from Ernesto Köhler's 25 Romantic Studies, Op. 66. Make sure not to insist on the eighth-notes that come after a triplet, and try to keep the grace notes as short as possible. Thanks to Shaoyi for suggesting this piece!